The acclaimed London cheese shop and tasting café La Fromagerie, encourage appreciation through pairing. 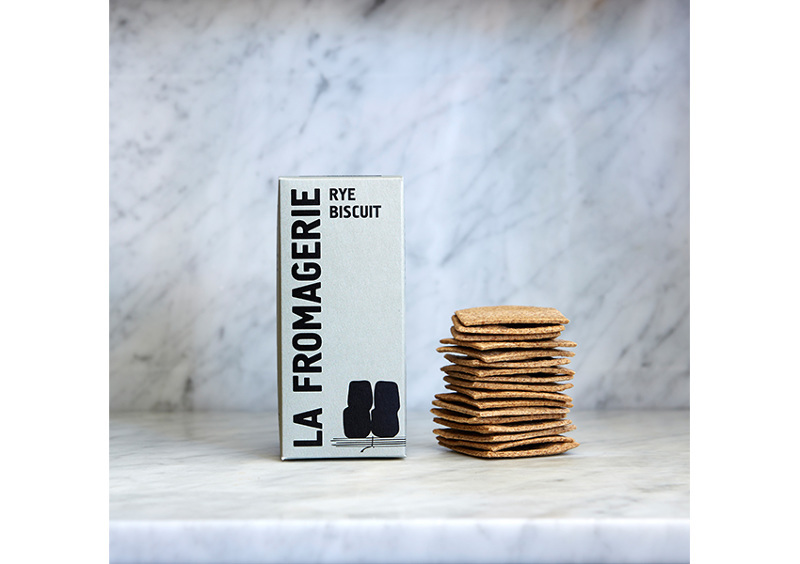 Their own label biscuits are each designed to compliment specific types of cheeses. Our aim was to create a bolder, fresher and contemporary pack, which exuded shelf presence. 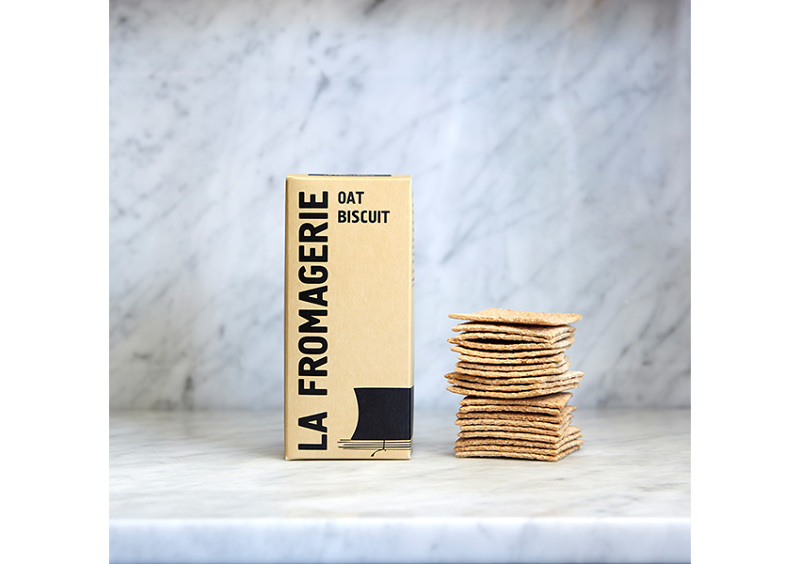 Since their introduction in 2011, the La Fromagerie own label biscuits have had a 200% increase in sales compared to other brand alternatives sold in store. The acclaimed London cheese shop and tasting café La Fromagerie has a reputation as the finest cheese shops in Britain. It is known as much for it’s expertise in perfect regional food pairings as it is for it’s extensive range of impeccably kept cheeses. 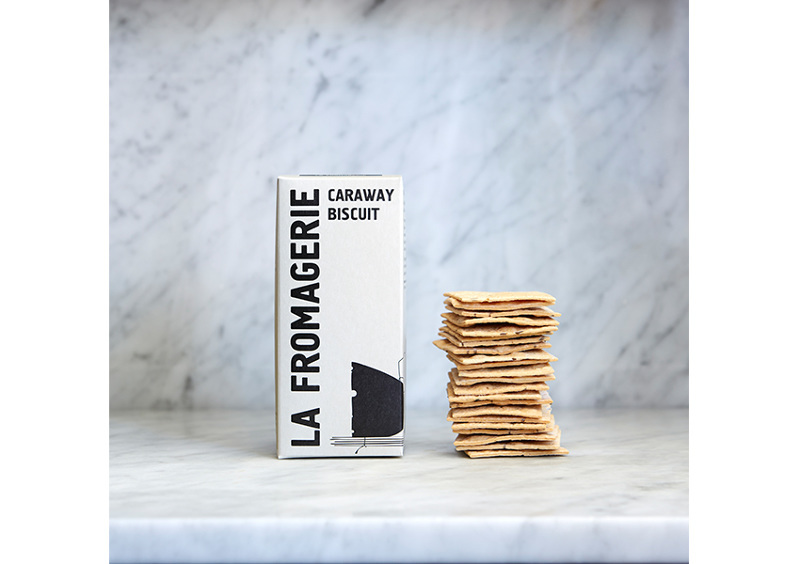 La Fromagerie biscuits are each designed to compliment specific types of cheeses and our aim was to create a bold, fresh and contemporary pack, which exuded shelf presence and visually paired the cheese to the biscuit. “Susanna and her team have a lightness of touch that is both thoughtful and intuitive and more importantly respectful, not just of the brand but the people, the history and the philosophy of the company. 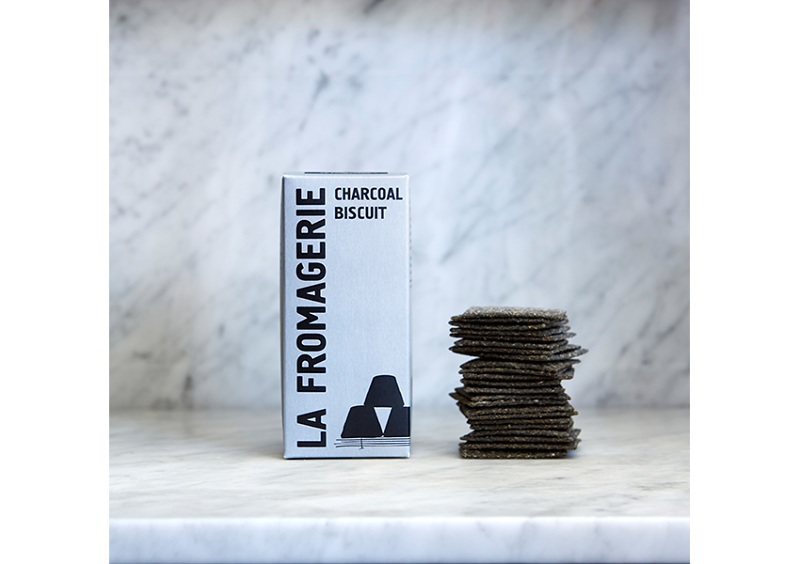 Following our redesign of the La Fromagerie website, we refreshed the existing design of the biscuit packaging we created six years ago. Our aim was to create a bolder, fresher and contemporary pack, which exuded shelf presence. Using the new styling of the website, in which the type is much more prominent, we took the existing La Fromagerie identity and separated it’s elements to create strength and depth as well as allowing for larger, striking graphics. Wrapping the now larger cheese illustrations around the side of the box creates movement and draws the eye around to the detailed descriptions of the biscuits and their cheese and wine pairings.